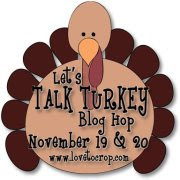 Hello, and WELCOME to the the "Let's TALK TURKEY" Blog Hop!! We're so excited that you could join us for this WONDERFUL two-day hop!! for a few hoppers, so be sure to check out all of those details on her blog!! you won't want to miss out on any of the FUN!! The Queen created this adorable easel card..
Whew are you ready to gobble til you wobble? you check out The Queen's blog candy giveaway.. I love your easel card. Gives me inspiration to try one myself. Thanks for the hop....I love visiting your blog! I love easel cards and this one is adorable! Thanks for sharing. New follower (I think-blogger giving me problems). Great shaped easel card I love all your detail. I am already a follower. My favorite Thanksgiving treat is pumpkin pie unless pumpkin cheesecake is available. 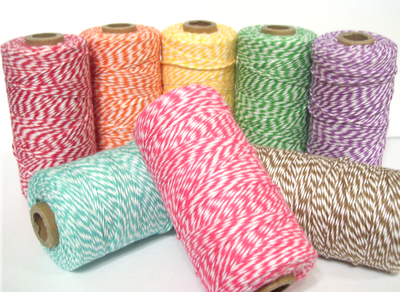 Thanks for the great giveaway and I could really use some twine. I love the easel card. The shape really mimics the turkey's tail feathers. The color is perfect as is the image. Very nice for thanksgiving. Speaking of Thanksgiving, my favorite treat is the home made apple pie with the vanilla bean ice cream.Happy Thanksgiving to you. This is such a cute card. Love easel cards. My favorite Thanksgiving treat would have to be pumpkin roll, love the holiday treats. Nice being in the hop with you. My favorite thanksgiving treat has to be the stuffing! With walnuts and cranberrys and lots of celery and onions! But this year, I am going to love sending my cards to thankful friends. **I apologize for deleting post, I forgot my contact info...sorry! I love your turkey! My favorite Thankssgiving treat is cranberry relish. What a super cute card! I'm a follower and my fav Thanksgiving day treat is the pecan pie! Favorite thanksgiving treat is jellied cranberry sauce. Very cute. The image is adorable. love your easel card... i havn't yet made one... but i really must try. yours is beautiful!! Im a a new follower. Love the card! My favorite Thanksgiving treat is my Mom's pecan pie....LOVE it! I love the easel card, but have never tried doing a circular one. Your card came out awesome. Cute card. My favorite treat is stuffing and pumpkin pie. New follower! Have a wonderful Thanksgiving with family and friends. The Queen made a beautiful card! Oops! I forgot to mention that I've become a follower and my favorite Thanksgiving treat is pumpkin pie. Love the easel card. The turkey is beautiful. Already a follower, My favorite thanksgiving treat has got to be the stuffing. Love Love Love stuffing. my fav thanksgiving treat is cappachino and homemade pumpkin pie.oh yummm. your card is super yummy right now. thanks for sharing . Your card is awesome in so many ways! It gets high marks for dimension, color & cuteness!! I MUST try the easel card. How does the bottom panel get connected? TFS and you can try my chocolate oreo truffles anytime...they are my favorite! Great card. Thanks for sharing. Great card !!! Favorite treat on Thanksgiving is cheesecake...homemade...yummy!! What a wonderful card! It looks so elegant & complex but once you explained, I see how simple it is...WOW! I need more spellbinder's dies! I only have one set. My favorite Thanksgiving treat happens to be MY Pecan Pie...I pride myself on it & I am my harshest critic...I make it every year & Thanksgiving isn't Thanksgiving until/unless I make my pies...They keep the normality in an otherwise crazy world. and they are YUMMY. I LOVE your turkey---I looked for a digi like that---just not in the right place ----You did a lot better coloring than I would have.